It’s amazing how quickly the weekend goes, come Sunday evening you realise that you haven’t actually done a great deal. Saturday, the heavens opened up and rained constantly. Heading to the town centre was out of the question, in my mind Christmas is still a while away yet members of the public are already in a frenzy trying to find that ‘Christmas bargain’ whilst in the process forgetting all manners and etiquette. You know the type of people I mean; they come out en masse sometimes in packs to make the rest of us shopper’s lives a misery. Hence no weekend shopping at any shopping centre/complex. I did temporarily entertain the idea that I may brave a shopping centre one evening then woke up from that nightmare. Online shopping it is, shopping online isn’t necessarily cheaper but it is much safer and better for my health and wellbeing! A few people at work have joined slimming world, one of them being the lady I sit next to. I have tried to be supportive and eat healthier, the fruit got eaten but the rest of the healthy eating and no crisps just made me grumpy. Dieting of any kind isn’t for me, think I’ll stick to trying to find a balance. I need to do something until I can motivate myself to get back into exercise which hasn’t happened yet. If anyone is curious the Fitbit is still in its box. Some of the meals that are suggested by Slimming world don’t look too bad but then there are some that look like the person needs to paralyse their taste buds before tasting as the picture alone is enough to put you off trying it. I’m being unfair as many people have successfully lost weight through Slimming World and look great for it. To me it looks like it’s not only helping people to lose weight in a structured way but to also learn to cook more from scratch and forego relying on ready made sauces. Most of my meals are already cooked from scratch just not always by me. Sometimes the ingredients used can be considered a bit rich/fattening depending on which way you look at it. I had a very nice slow cooked lamb dinner over the weekend that was marinated in double cream and yoghurt, the marinate was also used to create the sauce and had a strawberry trifle for dessert; this was shop bought. Neither the lamb or the trifle would be considered healthy and would count as a lot of sins in slimming world but tasted really good! While I’m coming clean I also baked these oat biscuits and drizzled some dark chocolate over a few of them, I did share them at work. I am trying to get the lamb recipe down on paper but I mostly assisted. The oat biscuits I can help with, this was the recipe I used from Allrecipes, the biscuits are quick, easy and only uses four ingredients! Guess who has a biscuit stall next month? These is a local school where since last year I have had a biscuit stall at their summer fete & Christmas bazaar, I must be doing something right as each time a member of the PTA has contacted me to ask me if I’d be interested in coming back each time. The baking does usually take me a day and it is a bit of hard work as I want the biscuits to look visually appealing and then creating the decorate your own gingerbread person kits but I do also have a lot of fun on the actual day, I get to dose up kids with sugar, send them home with their parents who at times are equally dosed up on sugar and caffeine, and I make a bit of pocket money. This job and the different extra curricular activities of mine have definitely been keeping me busy! My main role is reporting but of late I have been getting involved in some of the events the Patient Experience Coordinators arrange or are a part of. The most recent one was Time to Talk where it was all hands on deck and all members of the team were at various locations representing SEPT and showing our support for this excellent cause. I was based in Basildon where the Basildon Disability Equality Forum held a bake off style event in support. I was asked to donate a cake and I could hardly refuse! My cake didn’t win but it was for a good cause so I can’t complain really. Also this baking has created some more opportunities for me. A lady I work with asked me about making a birthday cake for her husbands 60th, nothing overly fancy but nice all the same. I know not everyone likes fondant icing and buttercream icing is nice but I wanted to do something a little bit more memorable than just a simple victoria sandwich. The birthday boy’s favourite chocolates are Maltesars, he was pleased with the cake. I sometimes on a whim make a cake for one of SEPT’s volunteers, he out of the blue asked about a birthday cake for his niece, they had been let done by the original cake baker. I said yes as it would be a good opportunity to get back into working with fondant and creating fondant toppers. I’m not going to lie, I did panic a little bit over this cake as I really wanted to do a good job and still wanted the cake to taste good. Overall I think the cake turned out well. For now my cake baking for others has gone a bit quiet but baking for friends and family still continues, no harm in trying out new recipes when I have ready and willing guinea pigs at work! I’ve been on a baking spree of late, some flops some success but then again ‘practice makes perfect’! My mum bought me an early birthday present, an all singing all dancing Kenwood mixer that comes with a processor and blender attachments. I absolutely love using this gadget, once I had worked out when to use the beater, the whisk and the dough hook I was on a roll. I know I should have stuck to the tried and tested brownie recipe but decided to try out a new one. 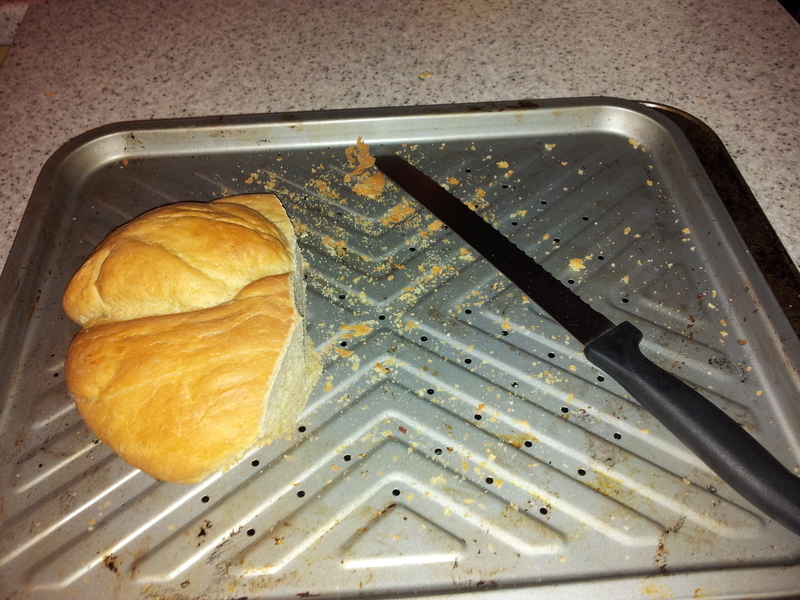 It wasn’t a rip roaring success, cooked through round the edges and a bit too gooey in the middle. My next ‘new recipe’ to try out was for iced buns. My youngest sister isn’t fond of cake, last year she had a brownie birthday cake, this year she wants an ice bun cake. 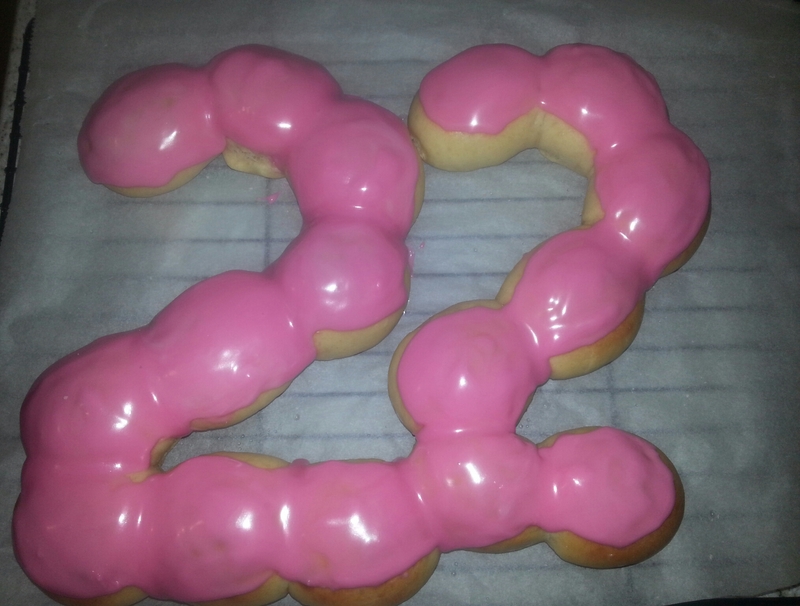 This was a practice run hence the second number 2 missing a few a buns. I know there are plenty of simpler recipes to follow out there but I have a new book so followed this one. By the following day the icing had started to melt off, fellow bakers if you have a solution to this problem feel free to share. 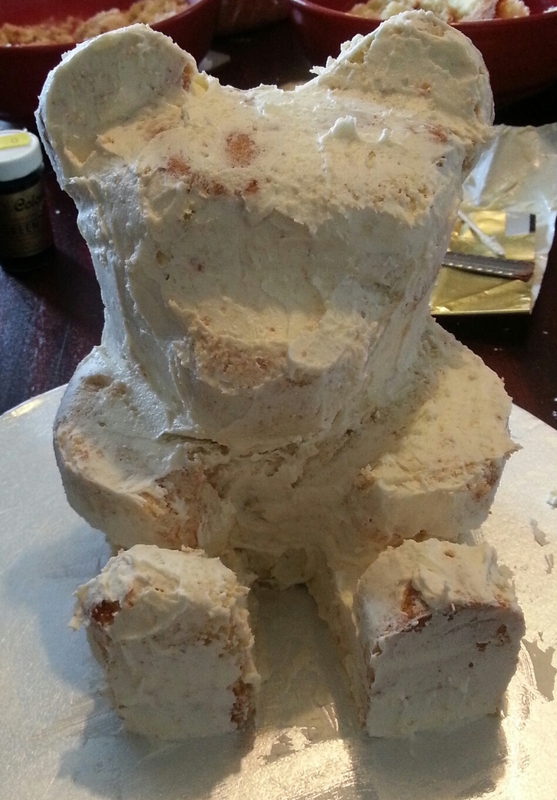 My next practice run was a 3D teddy Bear cake. I made a smaller version to get an idea of what I was doing, the bear turned out looking a bit more like a monkey bear than a teddy bear. 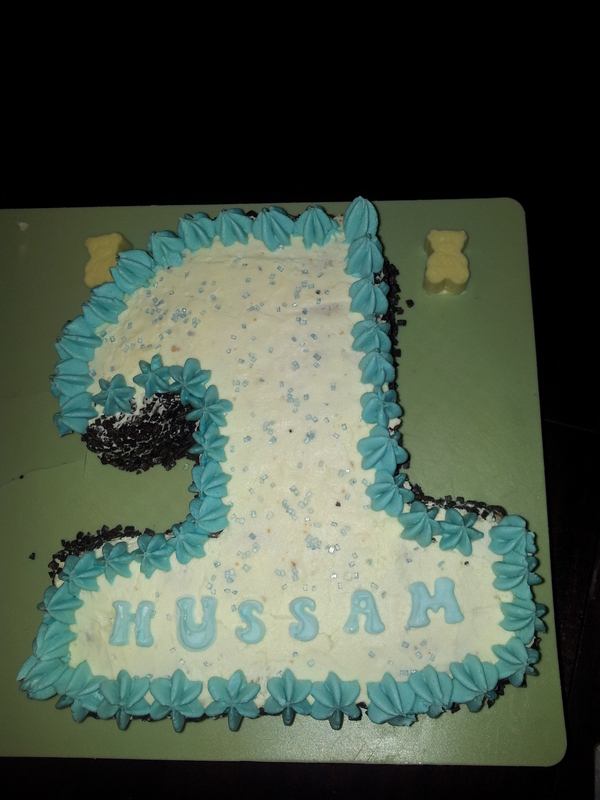 I know the icing needs a bit of work, I had started to get hand cramp, I know what areas I need to improve on it comes to making the ‘real’ cake for my nieces birthday. 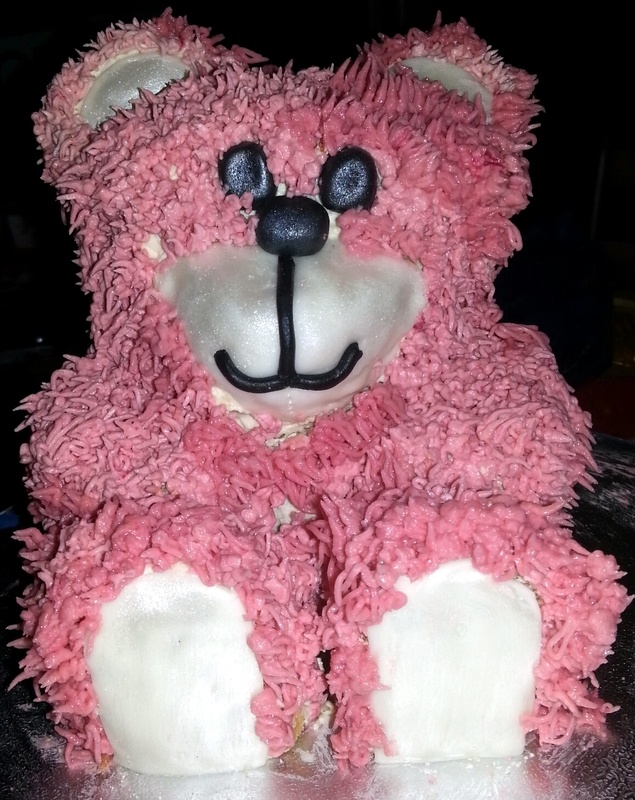 If you’re interested in making your own 3D teddy bear cake I originally used this template from Paul Bradford Sugarcraft School website, there is also a video how to put the cake together. The cake itself is a trust worthy madeira cake, perfect for carving up. Baking aside I needed some new cake designs and pictures for my baking Facebook and Twitter pages. This is my latest creation. 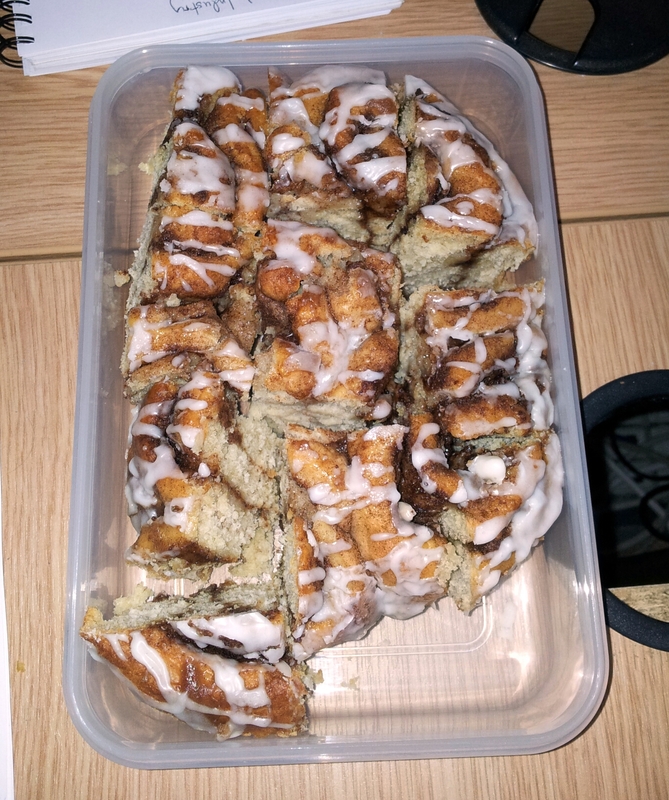 A work friend has got invovled in the baking cinnamon challenge by asking his wife to bake him some cinnamon swirl buns, so technically his wife took part! Recipe courtesy of my friends wife. Make up some runny icing and drizzle over the swirls. Serve warm or cold. Side note: I put extra cinnamon in the filling and gave a light dusting when they were taken out the oven. Crash, Bang, Clean Car and Cake! Though the sun was shining my weekend was 50 / 50. No more than 10 minutes after leaving work I received a phone call my sister had been in a car accident! She is feeling the after effects now but otherwise is ok, she has been given some painkillers by the doctor at A&E. We’re not sure about the survival chances of the car just yet. Everything is going through insurance so will see what the outcome is likely to be, the other party shouldn’t dispute anything as they were the ones at fault. 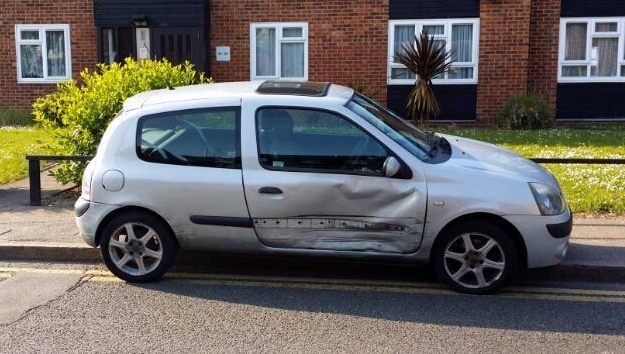 They had not seen my sister’s car and continued to enter the road resulting in the accident. Friday I had a case of the sneezes and watery eyes, I had hoped it was hay fever. I should be so lucky! Little did I know the sneezes and watery eyes were the beginning of a cold, no thanks to the evil air con that plagues my side of the office. Despite my developing cold, come Saturday I still looked like I belonged to the human race (make up is a brilliant thing!) and a small miracle happened. Thanks to my youngest brother the inside of my car was cleaned. I forgot to take pictures otherwise you would seen just how bad it was. I can’t remember the last time the inside of my car was hovered, dust was wiped down, I honestly thought it was going to be an impossible task. But my brother took the hoover and did an excellent job! Sunday the germs took full effect. I would have stayed in bed only the boiler guy was meant to be coming then I was going to my parents for a family barbeque. However the boiler guy didn’t turn up! I texted and phoned him then received a text message with a lame excuse, to be honest I think he forgot! A builder was also meant to be coming to give me a quote for the shed, he was also a no show! The boiler guy did come the following evening so I will let that go. The shed builder was meant to come that evening as well, again no show. I’m going to find someone else to come and give mwe a quote. At the moment I am a recovering master of germs! The battle of the air con continues, the war will only be won when the evil spawn of cold and potential dusty, polluted air has been ripped out! I’m told this will be happening at some point this year, until then, I am going to have to dress like an eskimo for a work! It’s been a while since I’ve written about my cakes. I’ve been baking, but for one reason or another I haven’t gotten round to sharing the experiences. Sometimes in the morning I don’t have time to grab breakfast, when this happens banana choc chip muffins are just the thing to keep me going for a bit. I know I have a small stomach to be able to survive on one muffin till about 11am. They tasted nice but were a bit dry. I’m going to try out a different recipe next time. I was having a bit of a rough week at work, Ben and Jerry alone were not making the cut. 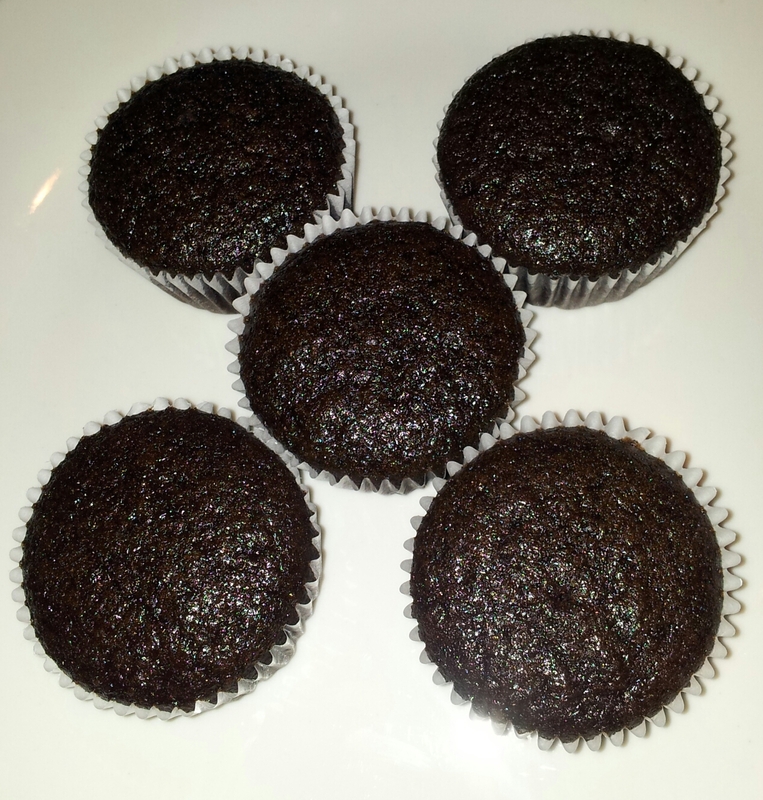 Off the new shelf came the baking book and brownie cupcakes were made. I recently signed up for a fundraising pack for the charity Sparks, Bake for Bumps campaign. Found out my manager has ok’d it with the big boss for me to bring cakes to work and ask everyone to donate money in a little box which came in my fundraising pack, in exchange for a cake. I test out my cakes on my work colleagues anyway, just this time they will also have to cough up some money. It’s for a good cause, and cute little babies. The money raised goes to funding medical research ‘…to improve the quality of life for children and families affected by serious illness or disability today, whilst seeking ways to better diagnose, treat and prevent these conditions in the future.’ Honestly who can say no to cute little babies? 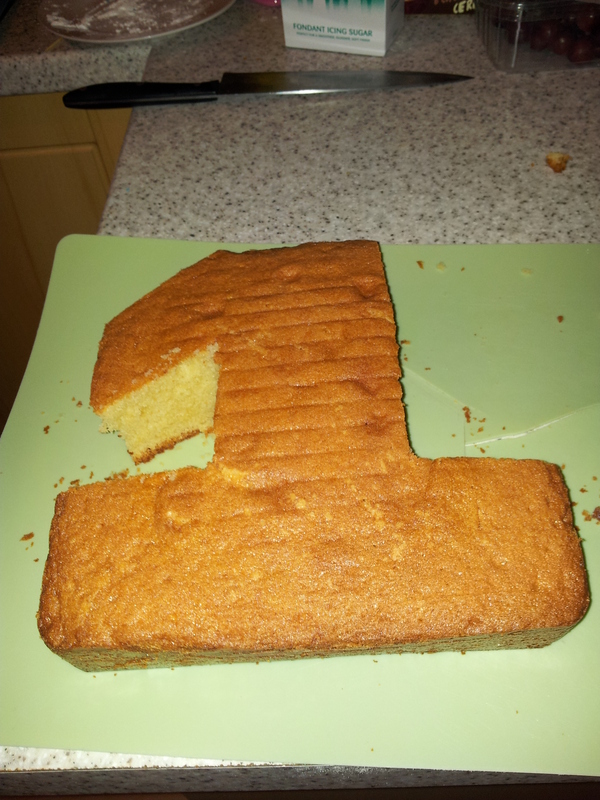 As I mentioned in my post ‘Wind knocked out of me!’, I made the trial run birthday cake in the shape of the number one. It turned out better than I had expected, especially since the last cake I made was burnt! I had started my baking late in the day so decided to cook and shape the cake on the Saturday and decorate it on the Sunday. 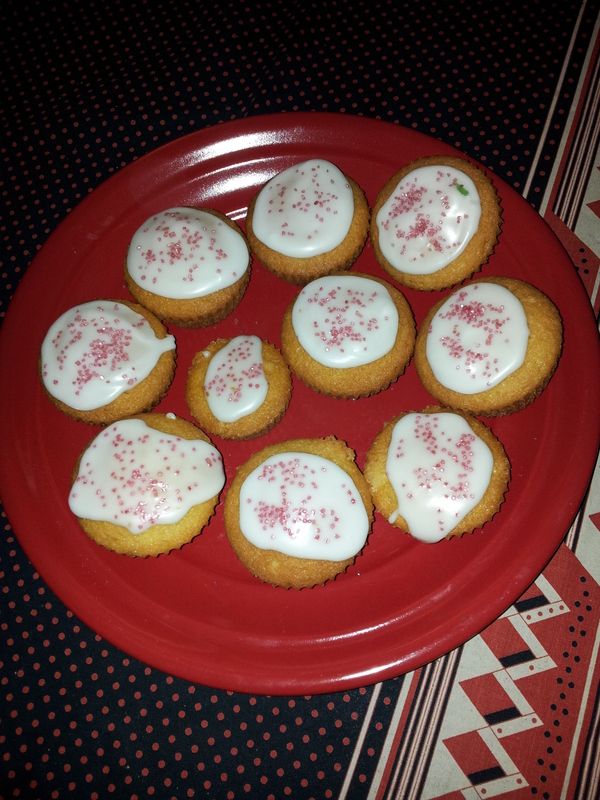 Whilst the cake was cooling, I made some lime flavoured cupcakes. 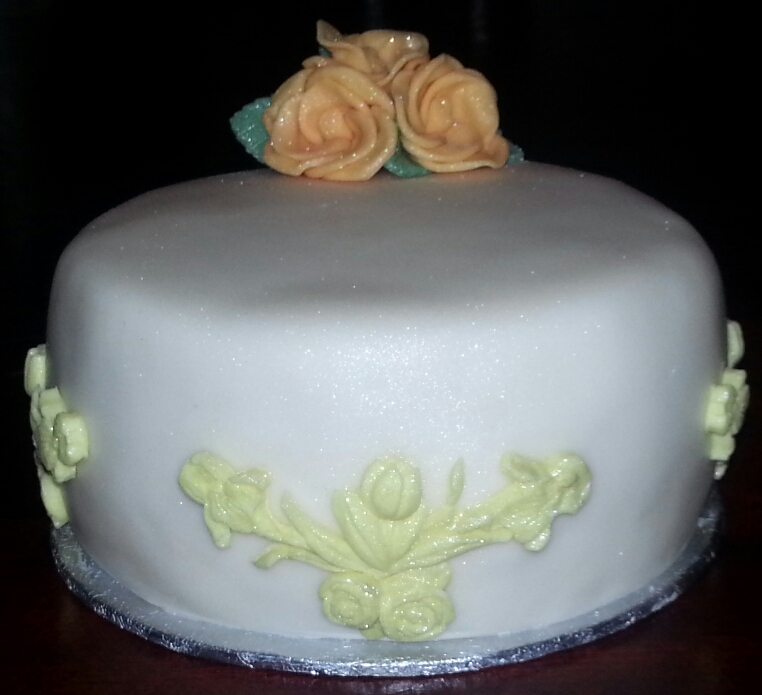 Whilst the cupcakes were cooking and the cake was cooling I had a go at making my own fondant icing. Lets just say it was not a rip-roaring success and leave it at that. 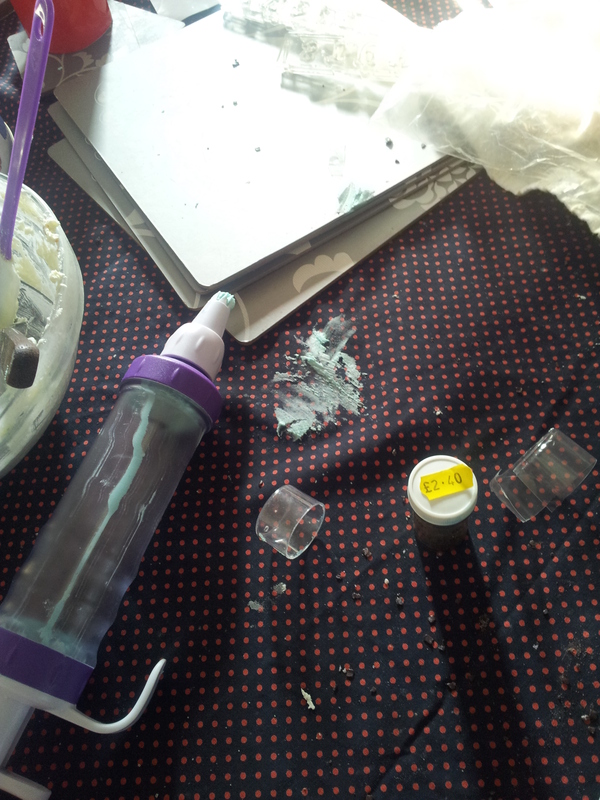 Fortunately I had a back up with shop bought fondant. After a bit of practice using the lettering stencil managed to produce some not so bad looking letters to spell out nephew #2’s name. 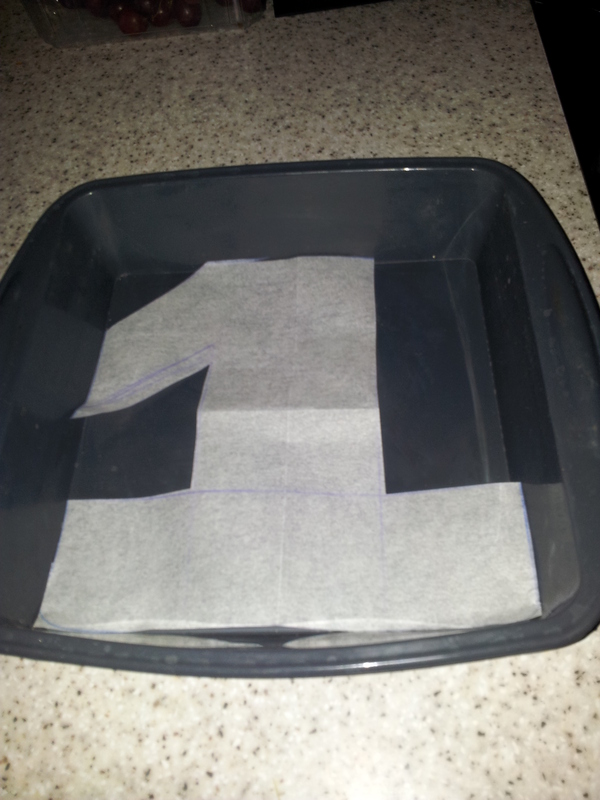 The trick was to let the fondant icing dry a bit so it wouldn’t stick to the stencil and come out easily. Lime cakes cooked and cooling. Time to cut the birthday cake, I surprised myself! Surviving on tea, bit of DIY patchwork cake repair I was finished at about 12pm. 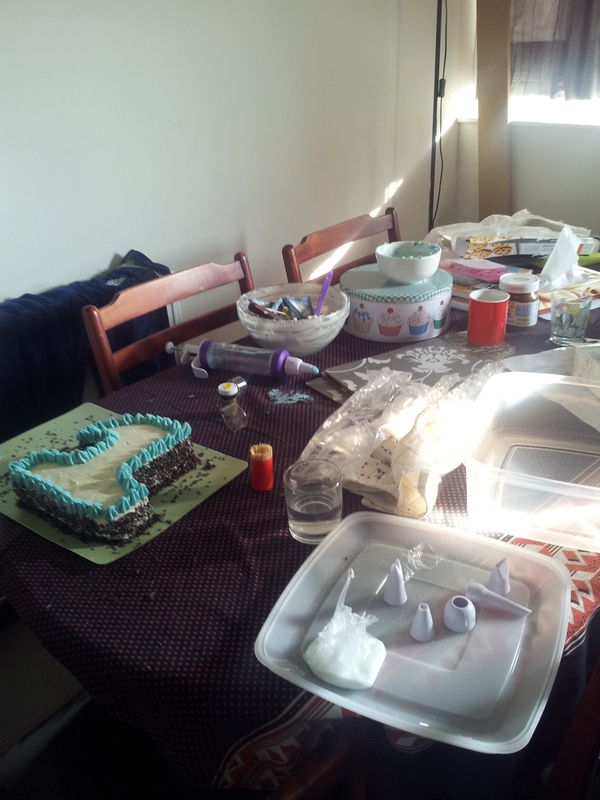 My dining table looked like a crime scene, I had a minor accident with the icing gun, I had added more icing forgetting there was already icing in the nozzle bit and pressed the plunger button..oopppss. All were impressed with the outcome, my youngest sister had the cheek to say ‘Seeing the last cake you made I had no expectations and was surprised the cake turned out looking as well as it did!’. Then it was off to lunch with youngest brother who is going to help me with the birthday cake and cupcakes for the party on Sunday.